Exceptional, breathtaking, and so absolutely alluring; there is an unspoken magic that comes with a visit to the enchanting rocky shores of Ireland. Although it is a relatively small country, Ireland’s reputation far exceeds its size. The country is filled with magnificent ancient landscapes that are fascinating and almost otherworldly, while the warmth of the people is enough to make you feel like a long-lost relative who has finally come home. Here are the best cities in Ireland. With awards like “Ireland’s Tidiest Town”, “Irish Times’ Best Place to Live” and “Ireland’s Best Kept Town” under its belt, it’s no wonder that Westport has become one of the top towns to visit in County Mayo. Westport is the third-largest town in the county and is home to a remarkable environment, both natural and man-made. In fact, one of the best parts of the town is its well-maintained urban setting coupled with unbeatable views of the magnificent Carrabawn River and Clew Bay. Go on an adventure through Clew Bay Trail and Ballycroy National Park or venture off on your own down one of the many walking routes and biking trails in the town. Foodies can get their fix at any of the fine establishments and pubs in the area, while lively events are bound to keep visitors of all ages well entertained. Whether you’re visiting Westport on a quick getaway or a long vacation, it’s bound to be a great holiday. Soak up some sun and fun at the traditional seaside village of Blackrock in County Louth, Ireland. A popular holiday destination for locals and international visitors alike, Blackrock offers the quintessential Irish beach experience with its idyllic small town charm and sunny weather. Spend the day on the coast of the Irish Sea for an enjoyable swim or lounge around the promenade, building some sandcastles and enjoying a cone of delicious ice cream in the summer time. 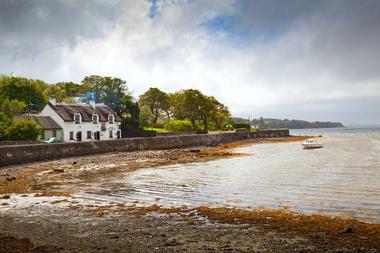 Head inland for enjoyable strolls through the town and to savor a lovely cup of traditional Irish tea. Don’t forget to head to some of the many village pubs to sing classic Irish tunes while enjoying an ice-cold pint of Guinness. From its jovial atmosphere to the award-winning food and the fun seaside activities, Blackrock has everything you need for an incredible holiday. 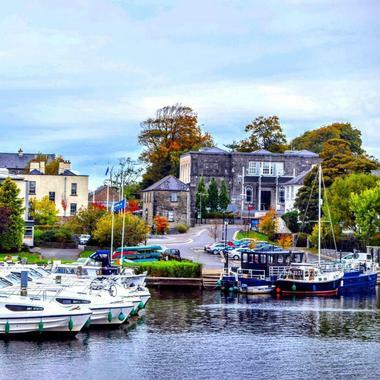 Just a few hours from Dublin, Carrick-on-Shannon is one of Ireland’s most popular inland destinations and is known for its beautiful rivers and waterways. In addition to its extraordinary beauty, Carrick-on-Shannon has also been transformed into one of the country’s most progressive commercial centers and is now home to a number of major corporations and businesses. Situated on the shores of the picturesque River Shannon, Carrick-on-Shannon draws visitors from near and far alike. From cruising down the waterways to exciting fishing excursions, there are more than enough activities to keep families, couples, and solo wanderers fully occupied and engaged for a weekend or week-long getaway. The hospitable locals, photo-worthy streets, and bustling marinas certainly make for a warm and welcoming stay. 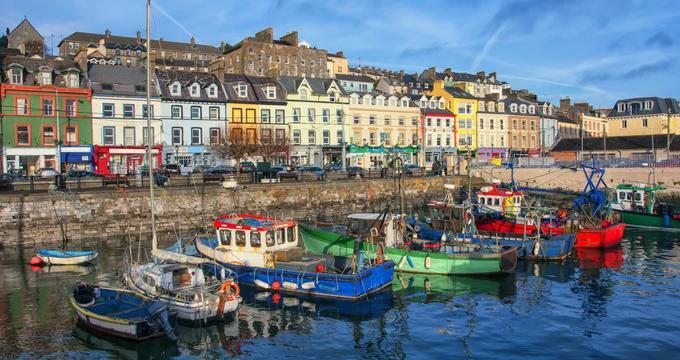 Home to Irish greats like Jack Doyle and Robert Forde, Cobh is a coastal town in County Cork with a rich seafaring heritage and an old-town charm. Historically, Cobh was the main point of departure for millions of Irish emigrants sailing to the United States. It was also the final port of the Titanic before her ill-fated journey across the Atlantic. As well as having a rich history, Cobh is a fantastic vacation destination with tons of activities just waiting to be explored. From relaxing stays in quaint and charming bed-and-breakfasts to exciting fishing trips, historic tours, and fabulous cruises, there’s a little something for everybody in Cobh. Take the Titanic Trail or visit the Queenstown Story Heritage Center. Try your hand at sea angling or attend the lively St. Patrick’s Day Parade. Whatever you choose to do during your visit to Cobh, you’re bound to leave with some cherished memories. Doolin is a lovely coastal village on the northwestern coast of County Clare and is an ideal jump-off point for exploring Ireland’s gorgeous Shannon region. 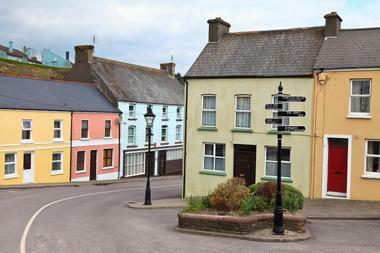 The village is perfect for a quick weekend getaway or as a short stopover on a tour through County Clare. In fact, the village is actually centered around just one street, known as Fisher Street. The charm of Doolin, however, is not just in the beautiful, rugged backdrop of the Atlantic Ocean. As the unofficial capital of traditional Irish music, Doolin is known for its immersive tourist experience. Visitors are encouraged to take part in the local culture and participate in the lively music scene while getting to know the local community. The extremely friendly atmosphere coupled with some fantastic pubs make Doolin a must-visit. There’s no way you could discuss Ireland without mentioning the historic capital of Dublin. In fact, just a short visit to this small city is enough to make even the wariest of travelers fall in love with this boisterous and fun-loving locale. From historic attractions to modern establishments, there’s a lot to see and do in the city. Unlock the stories of old at the 13th-century Dublin Castle or take a self-guided walk through the colorful city to learn magical tales of the city’s past. Better yet, take a tour through the many historic houses in the capital to hear anecdotes that you won’t find in the history books. Enjoy a breath of fresh air and explore the great outdoors in the capital or turn the pages of some of Dublin’s greatest authors at the enjoyable literary museums. 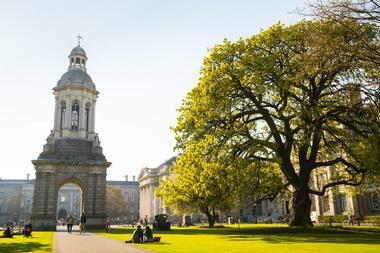 With a delightful mix of heritage and modern attractions, Dublin has much to offer to all kinds of travelers. Offering the perfect balance of old and new, Ennis is a top holiday destination in Ireland with great sites and an even greater character. There’s a story to hear at each of the narrow and winding streets in town, and it’s not just because of Ennis’ vibrant history. The locals themselves are incredibly welcoming and are quick to swap a story or two with travelers who are ready to listen. 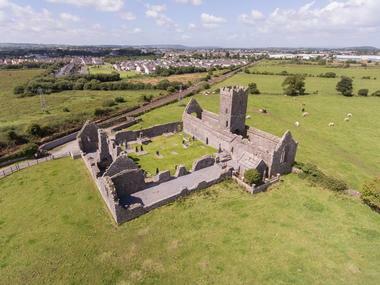 Local museums and walking tours of Ennis’ Friary Ruins are a great way to soak up stories from the city’s past. Exploring the fantastic architecture of the area is also easily done by simply walking through the streets. At the end of the day, do as the locals do and unwind at the pub. A trip to the pub is a cultural experience of its own, complete with the finest Irish beers on tap. Like many of Ireland’s cities, the city of Galway, or Gaillimh, is deeply saturated with a rich and interesting history. Although as interesting and captivating as other Irish cities, what really sets Galway apart is an artsy and bohemian flair that keeps the streets well and truly alive. In fact, the streets are covered with art as the store fronts and pubs serve as blank canvases for the artistically inclined inhabitants of the city. Visit one of the brilliant pubs that come alive with music and merrymaking or catch an incredible street performance to truly immerse yourself in the culture of the city. Meanwhile, be sure to stop by such historic attractions as the magnificent Galway Cathedral, the Spanish Arc, or the Hall of the Red Earl. Since the 1700s, Glengarriff has been one of Ireland’s top tourist destinations, and with good reason. 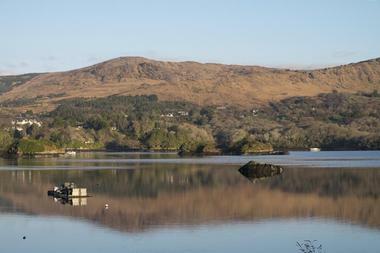 Nestled in the heart of West Cork, Glengarriff boasts awe-inspiring natural beauty as the mountains meet the sea here. Thanks to Glengarriff’s proximity to the Atlantic and world-famous Bantry Bay, the area enjoys a mild temperature for most of the year, making it the perfect place to enjoy outdoor activities and discover the natural environment. Set off on a hiking expedition through the foothills of the Caha Mountains or trek across the rugged plains for the ultimate outdoor adventure. Visitors can also sit back and enjoy the peaceful and relaxing atmosphere of this laid-back community of just 800 people. With so much to see, do, and find, Glengarriff is one of the top cities for avid explorers to visit. Travel back in time to the medieval era with a trip to the stunning town of Kilkenny. Known as the “Marble City,” Kilkenny is home to an incredible wealth of historical buildings like Kilkenny Castle, St. Canice’s Cathedral, and the Black Abbey. It’s fantastic sites like these and other attractions along the “Medieval Mile” that truly make Kilkenny an incredible destination for lovers of history and those fascinated with ancient architecture. Apart from taking a trip back in time, Kilkenny is also a bustling center for the arts and home to a number of dining, shopping, and drinking establishments. Spend some time admiring the stunning displays at the National Craft Gallery or take a leisurely stroll through the gardens at Rothe House. 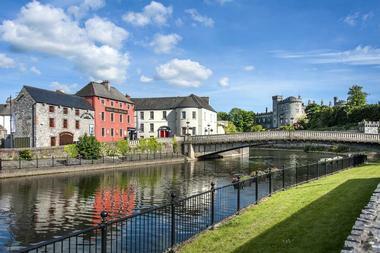 No matter what you decide to do, the sights and sounds of Kilkenny will be unforgettable. Filled with natural heritage, loaded with history, and situated on the Ring of Kerry, Killarney is one of Ireland’s top tourist destinations and has been attracting visitors since the mid-18th century. Some of the town’s most notable attractions include a tour of historic locations like St. Mary’s Cathedral, Ross Castle, and the Muckross House and Abbey. Killarney’s natural beauty is also something that definitely shouldn’t be missed. Travelers can go cycling through Killarney National Park or take a magical walk through its endless pathways and picturesque trails. The Gap of Dunloe and the Ring of Kerry also offer some of the most life-changing views in the world. Ready for a historical adventure? 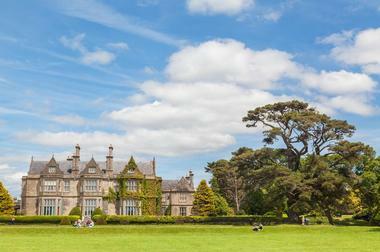 Make your way to Lismore, a town situated in County Waterford in the Munster province. There are no shortages of fine places to visit in Lismore as its borders are steeped in deep heritage. 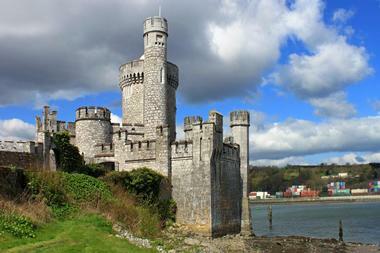 Go sightseeing at famous Lismore Castle or take a stroll through the hallowed halls of St. Carthage’s Cathedral. Apart from visiting top historical attractions, Lismore is also a fantastic place to immerse yourself in Irish culture. Spend your morning perusing the Lismore Farmers Market or try a hand at crafts at the Heritage Center. Enjoy music and entertainment like the choral performance at St. Carthage’s Cathedral or try your hand at angling on the Blackwater River. No matter what you decide to do to keep yourself busy in Lismore, you’re bound to have a great time. Fondly referred to by the local townsfolk as the “Best Village in the World,” Rosscarbery offers incredible fun and once-in-a-lifetime experiences within Ireland’s gorgeous County Cork. Situated at the mouth of Rosscarbery Bay, this quaint town offers the best of both worlds as there are both fantastic land and water activities to enjoy. Top it off with some beautiful Neolithic ruins and other heritage locations, and you’ve got the makings of a dream vacation. Head to Rosscarbery in the summer and spend your days lounging on some of the fine beaches or take a life changing trip to the recumbent stone circle known as Bohonagh, which dates back to the Bronze Age. Missed out on the summer season? Don’t worry, great locations like the Square, the leisure center, and walking or hiking trails are more than enough to make up for it. Béal an Mhuirthead is a cozy coastal town on the Mullet Peninsula in County Mayo. 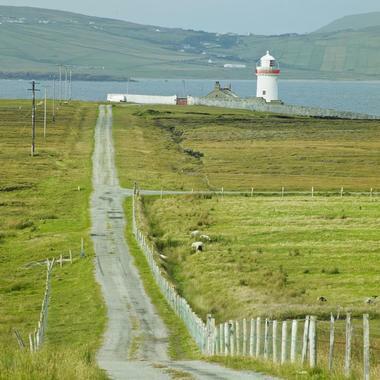 Known in English as the “Mouth of Mullet,” Béal an Mhuirthead is one of the best places in Ireland to experience a predominantly Irish-speaking town. Apart from the lively festivals for which Ireland is so well loved, Béal an Mhuirthead offers exciting activities like freshwater and sea-angling, surfing, windsurfing, and sailing. The town is also quite close to some of the world’s top golf courses, making it a lovely place for older travelers to visit as well. With an incredible heritage, welcoming townsfolk, and so many things to see and do, it’s no wonder that this small town of 10,000 people is such a fun place to visit.